It’s then that we begin to have a discussion about how they went about marketing it and as we begin to look into things further, it is clear to me why they don’t think that seminars work. Worse yet, for some attorneys, I have found that when we actually reviewed the return on their investment, the seminars were actually bringing in a profit (along with a slew of other benefits that come from doing seminars). 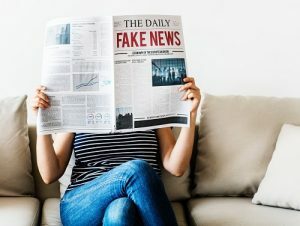 Here are some of the top mistakes that I’ve found most estate planning attorneys making when it comes to marketing seminars. Mistake #1: Not Using Direct Mail. Here again, in an effort to save some money in printing and postage, I’ve seen many estate planning attorneys marketing their seminars using postcards or flyers that are folded and tabbed. Once more, I will add that if this marketing method is currently working for you, disregard this. (“If it ain’t broke, don’t fix it!”). But, more often than not, those that I have talked to utilizing postcards or flyers are not seeing the kind of results they hoped for. Think about it for a second. When you’re checking your own mail, what do you do? If you’re like me, you pull out any of the envelopes and put them aside and just about everything else (postcards, magazines, ads, etc.). I pay attention to the envelopes and I glance over the postcards quickly and unless it’s a super catching or interesting piece, I will toss it. It’s junk. I will tell you, if I ever got an envelope from a law firm, I most certainly would open it, wouldn’t you? Mistake #3: Not Having a Compelling Message (or Headline). Okay, so assuming you use direct mail and have a letter (or flyer) in an envelope that you send to people, what kind of message do you have? Now, you have to have a headline and message that is compelling enough to explain to a prospective client why they should take 1-2 hours out of their day to come and see you. This is another area where I can understand why an attorney may not know exactly what to say. Unless you’ve studied marketing or took some extra courses in marketing, this may not come naturally. Marketing is all about emotions and needs. Your message has to be something that tugs on the emotional heartstrings of the reader and shows them that they need something and that you will provide them solutions for what it is that they need. The first thing they see on the page shouldn’t be your logo or once I had an attorney with a headline in bold size 72 font that said “LIVING TRUSTS”. Mistake #4: Only Offering One Date. Another common mistake attorneys make when doing seminars is only offering one seminar date. This forces those you’re marketing to to be available on a specific day and at a specific time. Determining what are the best days and times of the week work best for your prospective audience takes a little bit of testing, but that’s why you should consider adding at least two dates (ideally on different days of the week and perhaps even different times of the day). For example, when our affiliated law firm runs a sweep of seminars, we will market a 9:30am Tuesday morning seminar, a 6:30pm Thursday evening seminar, and a 9am Saturday morning breakfast seminar. This gives people that may work or may have to consider childcare some different options for coming to one of your seminars. Mistake #5: Not Marketing to Enough People. Here’s where Mistake #4 dovetails into this Mistake. You have to make sure you’re marketing to enough people. For this, it’s a bit of a science. First and foremost, you need to figure out how many people total you can accommodate at your seminar. If you’re holding your seminar in a conference room, you might only be able to hold 10 to 15 people max (which potentially could be 5 to 8 units, assuming a couple may attend together). If you have two seminar dates, then you would ideally want somewhere between 10 to 20 units to respond to the piece. The average response rate is somewhere between 1/4 to 1/2 of 1% (that’s 0.0025 to 0.005). That means that at a minimum, you’d want to mail to about 5,000 prospects. If you can accommodate more (both in the seminar room and your calendar for appointments), then you may need to market to more prospects. We typically recommend 5,000 prospects per seminar date you hold. If you don’t market to enough people for the seminar dates you have, then you’ll just take that typical response rate and divide it among the dates that you have. Mistake #6: Calling the Seminar a “Workshop”. This isn’t a major mistake, but people often use the word “workshop” for their seminars. When you think of a workshop, you typically think it might be super interactive, you might have to do exercises, study, or perhaps even do some “work”. We have found avoiding the use of the term “workshop” for seminars to be more effective. Mistake #7: Marketing Too Soon (or Too Late). The timing of your marketing is also very important. People often times think that marketing a seminar sooner than later is a good thing. You will give your prospects enough notice and they will be available to attend. The problem with this is that people may commit to going when they get your marketing piece, because the message to them was compelling and they’re available to attend, but there’s a lot that can happen as time goes on between the time they RSVP’ed and the seminar. Other (better) plans may come up. They might forget about it and make other plans. Or, generally, without re-reading the marketing piece, they might forget why they thought it was a good idea to go to that seminar or lose that desire to attend. Mistake #8: Pushing a Narrow Topic. Another common mistake that attorneys make when marketing seminars is choosing a topic that is a bit more narrow or specific to a group of people. This could be marketing certain types of elder law planning or even IRA Trusts. These niche types of topics and services are great if you have a specific, targeted group of people to present to. For example, if you partner up with a nursing home and they ask you to speak on a topic related to crisis planning and long-term care, that’s a great topic. If you team up with a financial advisor and can target specific clients where the IRA Trust would be applicable, again, a great topic. If you’re simply targeting cold prospective clients, then your best bet is to stick with general estate planning (such as Living Trusts) and you can certainly briefly discuss other services during the seminar (and we recommend that you do! ), but keep the seminar topic generic to estate planning and how that can benefit the attendee. Mistake #9: Not Inviting Existing Clients. This mistake is a much larger business marketing mistake that attorneys are making. Everyone is about getting new clients in the door and they spend a great deal of time and money trying to do so, while spending very little (or none at all) on re-marketing to existing clients. Your existing clients are the best for bringing in potential referrals and repeat business. Also, it helps to have existing clients in the audience, because they become advocates for you and your services out in the crowd. It’s also a great refresher for them and if you don’t regularly bring your clients in for reviews, it’s a great way to get them back in as well. Mistake #10: Not Getting Up and Trying Again. Last, but certainly not least, Mistake #10 is giving up too soon on seminars. Seminars can definitely seem like a lot of work and hassle, but once you’ve got it down, it can become one of the most predictable, efficient, and effective means of bringing in clients into your law firm on a regular basis. What’s even better is that you don’t have to make all of these mistakes yourself. There’s tested and proven ways of marketing, setting up, and putting together seminars for bringing in new clients so that you don’t have to make these costly mistakes. If your seminars can help drive in new business, save you time from meeting with prospects (and potential time-wasters) individually in a one-on-one meeting, and help you close more engagements…why wouldn’t you do more of them? This is where we can help you, hopefully by providing you some helpful tips in this article. We’ve also got several other articles and resources to help you. If you are making am pleased to offer estate planning attorneys the opportunity to schedule a free 30-minute consultation with me, where I can go over your current seminar marketing plans or brainstorm with you the most effective marketing strategies for you and your practice. 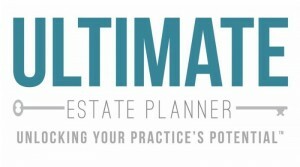 You will walk away with some ideas for what would be the best way to get started with your seminar marketing efforts and I will also discuss with you ways that we at The Ultimate Estate Planner can help you and your practice! Kristina Schneider is the Executive Director of The Ultimate Estate Planner, Inc. She graduated with a Bachelor’s Degree in Business Administration from Pepperdine University in 2004 and was hired right out of college to work for the Law Firm of Kavesh, Minor & Otis, coordinating and facilitating Philip Kavesh’s “Missing Link” Boot Camps while also providing administrative support to Mr. Kavesh as his Executive Assistant for over seven years. Through her direct hands-on experience in Mr. Kavesh’s law firm, Kristina has been able to assist numerous estate planning professionals through The Ultimate Estate Planner and, equally as important, many of their staff members, in the successful implementation of Ultimate Estate Planner’s products and systems. Kristina has helped numerous estate planning attorneys with seminar marketing and practice management. You can reach Kristina at (424) 247-9495 or by e-mail at kristina@ultimateestateplanner.com.